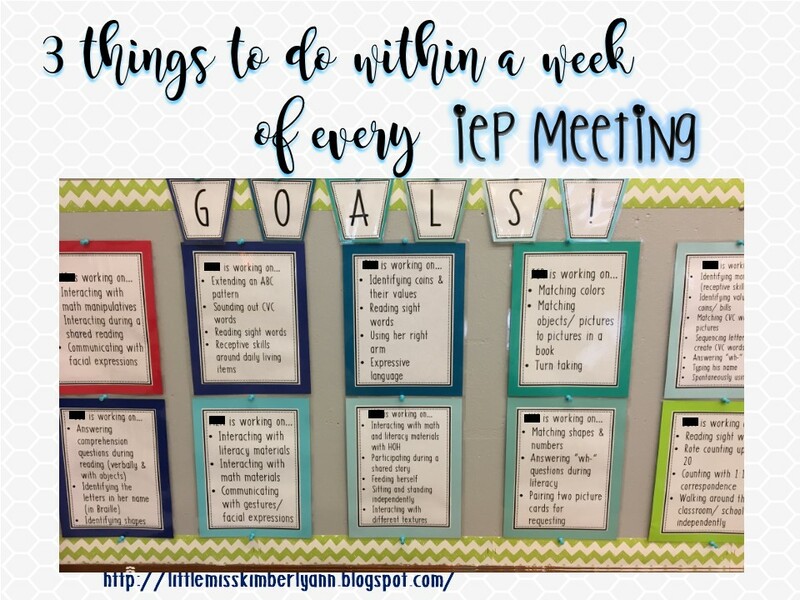 3 things you should do within a week of every IEP meeting! 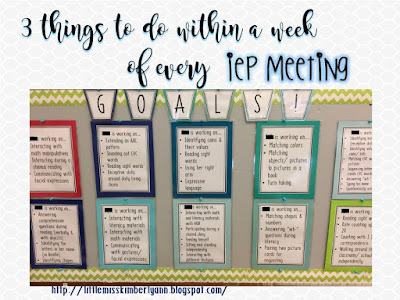 Prepping for IEP meetings is important and can be stressful and time consuming... but I really think that what happens shortly AFTER IEP meetings is way more crucial. 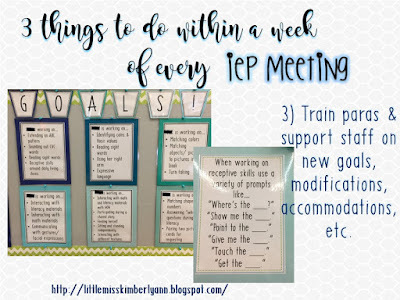 I've found that it's really important to do a few things within a week of having an IEP meeting to ensure that you hit the ground running implementing the new IEP. 1) Make and/ or gather any new materials you will need to work on new goals. This is likely one of the most time consuming steps after an IEP meeting. I like to use TpT to my advantage for getting activities to work on new IEP goals but I also try to use materials that I already have in my classroom. 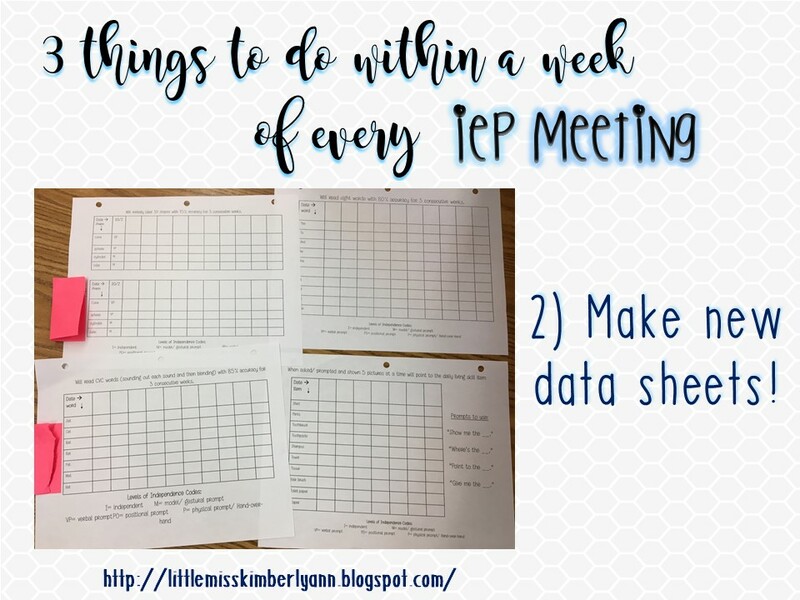 During this step, I typically update activities/work for kiddos throughout our day (I update circle time lessons/ materials, direct instruction/ 1:1 materials, and literacy and math group activities). I basically look at our schedule and try to figure out what specific times of days the kiddo can work on the goals and then put new goal materials with the corresponding lesson supplies. 2) Make new data sheets! The data freak in me loves this step!! I know that everyone doesn't have this strange data love, but it's still really important to get new data sheets knocked out quickly so you can track progress and adapt instruction as needed. Make sure that you make data sheets as quick and simple as possible so taking data seems like less of a chore! 3) Train any paras or support staff on new goals, modifications, accommodations, etc. After every IEP meeting, I have a quick de-brief with all of my paras. 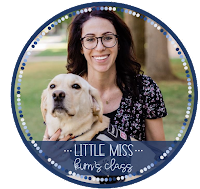 We go over all the kiddo's new IEP goals and any changes to modifications, accommodations, behavior plans, etc. I also update our goal wall which is a great way to communicate/ remind paras and support staff about what each kiddo should be working on. 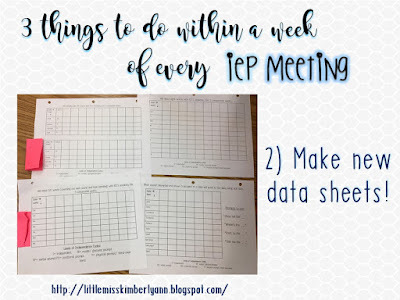 We also discuss methods and techniques for new IEP goal instruction and look at the data sheets together to make sure we are all clear on how to take the new data. These simple steps are helpful to make sure everyone in the classroom is implementing the new IEP promptly and with fidelity! 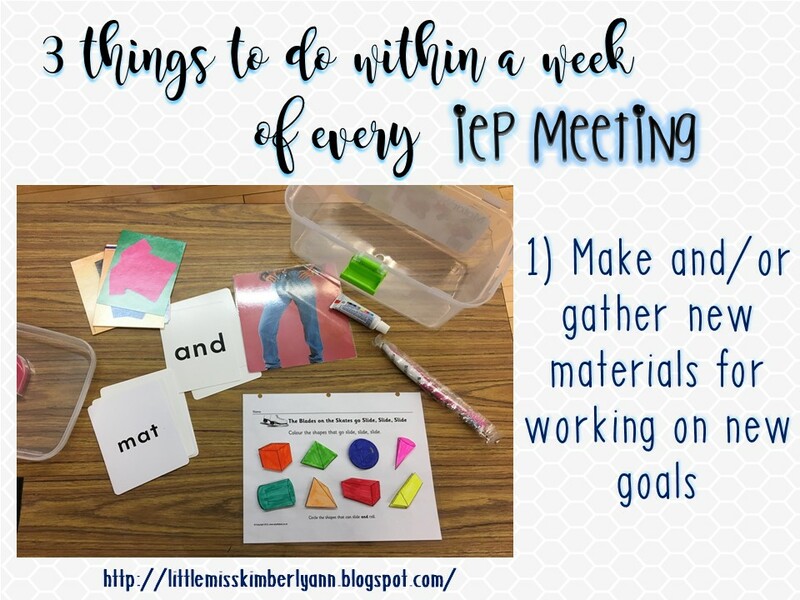 Do you have any steps/ tasks you complete after you have IEP meetings? I'd love to hear your ideas!